Do we have a copy at City-As? Andi Mack isn’t new to breaking new ground in children’s entertainment. They have been tackling topics like teenage pregnancy, mental health, different cultures and learning disabilities for a while now. One such instance was when the show’s love interest at the time, Jonah Beck dealt with panic attacks (which is another thing that also happens in this episode). I was a year younger than Cyrus when my bubbe died. Much like his, mine was my role model and my biggest supporter. She’d watch all of my theater performances even though we all knew that they were garbage, she’d read all of my stories and had taken care of me when others couldn’t, but I never got to tell her I was a lesbian. She died before I learned to accept myself. It never was a confusion about what she would’ve said (she wore crop tops in her 70’s)–she would’ve said that she loved me no matter what–but I still wish I could’ve said the words even now, more than 5 years later. But much like the first gay character on the United States Disney Channel, I used my bubbe’s memory to come out. Not at her shiva like Cyrus, but at my bat mitzvah where members of my family and congregation could see me embrace my authentic self. ** Andi Mack’s next episode won’t air for another month for editing out a certain actor which you can read about elsewhere. But this also gives everyone time to catch up! Here is a masterpost with links for every episode. Of all the social media apps that we personally spend time on, Twitter is probably the most bizarre. Unlike other apps whose main focus is to have its users pretend their lives are really eventful, Twitter is basically a hive-mind of niche communities all focused on freaking out about pretty much nothing. Besides politicians attempting to stay “hip” with the kids to the endless accounts hoping to convince you that Steve Rogers and Bucky Barnes are canonically dating, social media can actually be a very great source for more informational content, from tips on how to construct just about anything to any current news. Saying Twitter has practically everything would be a huge understatement. As more teens switch their attention from traditional places of getting entertainment and news such as newspapers to Twitter, it continues to provide teens with fun viral tweets and big news stories as they break. Come check out the new library books at City-As’s library media center in 407. Come browse and borrow a book for the mid-Winter break Feb. 19 – Feb. 23! 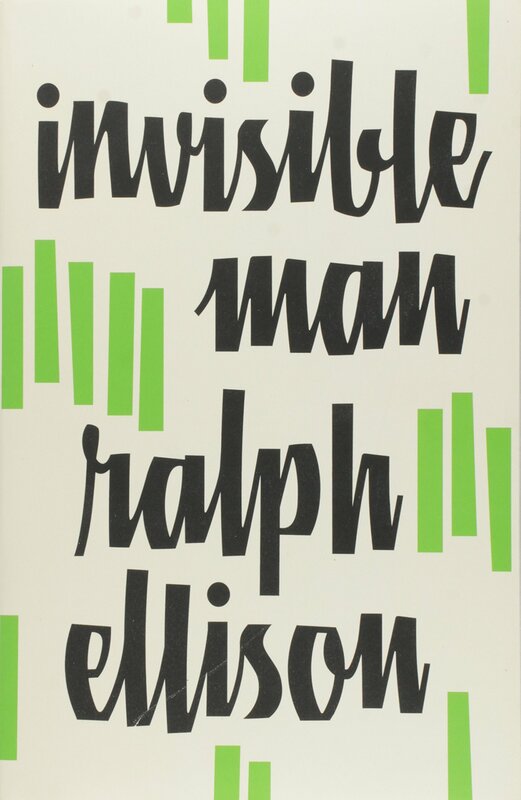 Our book club read Ralph Ellison’s Invisible Man: This epic of a man’s explanation of how he became invisible and why he is now underground is one of the most brilliant, tragic, elucidating books on the Black experience in America. Ellison dissects paternalism. In his pocket, the invisible man carries the visual relics of how he is seen by mainstream Americans, as a paper Samba doll, as a chain link that was used to enslave thousands of intelligent men and women, based on race. These concrete objects are his burden. They blind those who look at him, which is their failure at vision and undoing of their moral fiber. We cannot turn a blind eye. We are all invisible to those who are spiritually unable or mechanically refuse to look beyond our circumstances, into who we are as single, ejected-from-the-womb human beings. This book is unforgettable. It makes us look into our own blindnesses, our own projections, our own reactions to violence. What do we do? Destroy or corroborate? Or, do we contemplate, until we have an answer? Will we be given the luxury of time and seclusion to “figure it out”? We had a wonderful discussion and read aloud important passages in our discussion. Big thanks to Helen for her critical questions and curiosity that kept the conversation and reading going at a clip, and Thomas and Brian for sharing their ideas, and to Ash for jumping into a difficult book. Sometimes a book comes at you from all directions. This one certainly has some cosmic power to move across shelves and change people’s lives. If you ever had a best friend when you were young, or if you have survived violence in your immediate family, this book speaks. Sula is a pariah, seen as evil, but is she? Nel is a good girl. Both were raised by outcasts, but with different approaches to life. They are lifeblood friends. Until. Men. And the men in the book? Set in the early and mid 20th century, in a southern mountain town, racism rife, what is truly holding the men down, and carrying them away? This is a book that fills you with spiritual questions. Not easily resolved and never forgotten. We will discuss it on November 28th! Many millennials like the show Law and Order S.V.U. or the original one, or they want to be a cop or a lawyer or maybe even a judge, but few of them actually know what it feels like to be in court or know what really goes on in court. For some of our internships, students actually have to be in the court room so Lissa and I found teen literature books, like Convicted and Dangerous Girls that have trial scenes in them. While reading and skimming through them it is almost like you are in the court room yourself because you can really feel the emotions the characters are feeling. For example in Convicted, the reader can really understand how scared the main character felt about testifying against his own father. 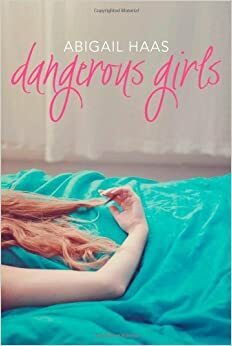 In Dangerous Girls, the reader is given the transcripts of the interrogations by officers, the trial, a talk show where the accused and imprisoned young girl tells her story of being framed for murder in a foreign country. You are right in the middle of the action. Monster by Walter Dean Myers is another book, a classic in its own right, and now available in graphic novel format, which gives the blow-by-blow shots of the trial of a 16-year old accused of murder when he was only the look-out. You are reading a movie script of a court scene, literally. In Stephen King’s COMPILATIONof short stories entitled Different Seasons, there is a great 10-page in-court scene with great dialogue and questioning about Alan Dufresnye’s murder case. According to the narrator of the story “Rita Hayworth and Shawshank Redemption,” Dufresnye was only one of about ten men he had met during his life sentence whom he believed was innocent, wrongfully convicted. Check out these amazing court scene books to get a birds-eye view of what happens in court. “The Call of Cthulhu”, a grotesque horror short story, is probably H.P. Lovecraft’s best known. It speaks about horrors too great for the human mind, as seen through the eyes of the Bostonian anthropologist Francis Wayland Thurston as he slowly unravels the truth about the entity known as Cthulhu, and the cult and mythos surrounding it. The story begins when Francis, as his sole heir, inherits the entire estate of his great uncle George Gammell Angell, a professor of semitic languages at the Brown University. He comes across mentions of Cthulhu when he goes through his research, and discovers a clay bas-relief depicting a creature resembling “an octopus, a dragon, and a human caricature” simultaneously. Upon reading through his great uncle’s notes he slowly pieces together information about an ancient worldwide cult surrounding a horrendous cosmic entity, said to be resting at the bottom of the ocean. As he pieces together the final bits of information, he begins to fear for his life. The short story carries a heavy feeling of impending doom, and conveys a strong fear of the unknown. It’s a great read for anyone interested in sci-fi and horror. “The Rats in the Walls” is another popular short story by H.P. Lovecraft. It is about a descendant of the De la Poer family who recently lost his son in WWI. Grief stricken, he decides to move to England and renovates the Exham Priory, an abandoned monastery that belonged to his ancestors. He moves in when the renovations are complete, and soon begins to hear the sound of rodents scurrying in the night. Expressing his concerns to friends and servants, he discovers that only himself and his seven cats are able to hear it. Mouse traps are sprung, but catch nothing. His cat (who bears a very unfortunate name) leads him to the basement, where he discovers an ancient room that appears to have been used for rituals. As he delves deeper into the past of his ancestors, he discovers secrets that has him walking out a different man. I think this is a great read, especially since some things are left open to interpretation. Be advised that depending on the version you’re reading it may contain some racist language (namely, the name of the narrator’s cat). The story is the kind that stays with you for a while after you read it. “He” is one of Lovecraft’s less popular works, but probably one of my favorites. Our narrator is a young poet that recently moved to New York and is experiencing a healthy amount of culture shock. He is fed up with the city and finds it to be very unwelcoming, but enjoys wandering the streets during the night, observing the architecture by the light of the moon. One night he meets a mysterious man that seems to be from a different time. The man offers to show him the secrets of the city, and he is led through a poorly lit neighborhood, and ends up somewhere that doesn’t quite belong to his own time. This story, like many of Lovecraft’s other works, renders a strong feeling of fear of the unknown. In this case, the unknown is the distant future and past. There is also the suggestion of dark magic and rituals, another recurring theme in Lovecraft’s stories. This book will make you cry. First Hurricane Katrina, then death of her grandmother and mother. Then falls in love, falls hard for T-Boom, a meth addict. Who leaves her when she gets hooked. 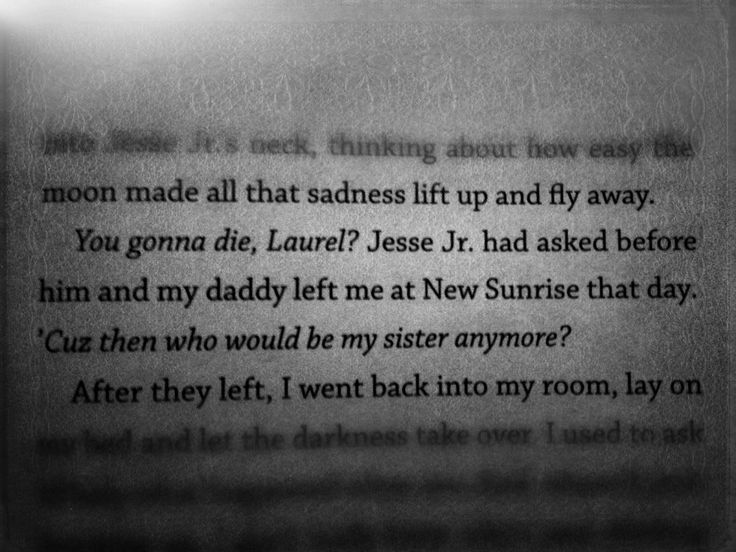 It is a downward spiral for Laurel, but her daddy loves her, she has a little baby brother Jesse Jr., a best friend Kaylee, and Moses, a friend that doesn’t try to come on to her as she sits begging for money, homeless. 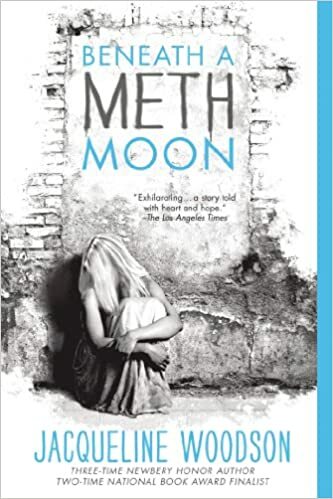 The grip that meth has on people rises mysteriously to the surface in this poetic tale of struggle, of continually being pulled back to an addiction, and the people like Moses that don’t judge and don’t give up. Maleeka is poor. Her mom sews to deal with the pain of losing her husband, Maleeka’s dad, but Maleeka can’t wear those hand sewn clothes to school. Sweet already teases her so much about her deep dark skin. So she borrows fancy clothes from Char, who has a lot of issues and bullies everyone around her. Then Miss Saunders shows up with her unique skin, her strong attitude, and changes the tone. She see Maleeka and, though caught in the middle of trying to be true to herself and following along doing what Char says, Maleeka will never be the same.